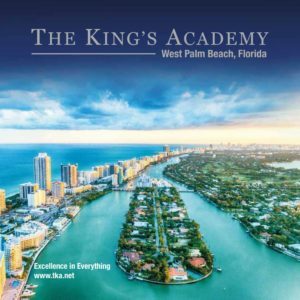 The King’s Academy’s International Program Office practices rolling admissions, meaning that an international student can apply at any time. TKA begins receiving International Student applications for the next year’s fall semester as early as a year in advance. We recommend that international students apply as early as possible. Not sure if you should be applying as an “International” student? Visit the frequently asked questions page to learn more. The first step in applying to TKA’s International Student Program is to complete the free International Student Online Application. For a complete list of language requirements by grade level, click here. An official copy of the applicant’s Academic Records (school transcript) from the beginning of 8th grade until present. Applicants must send both the original language transcripts and an official copy of the transcript which has been both translated into English and scaled to the American grading system* (100 point system / 4 point GPA scale). Once the on-line application and all supplemental documents have been received, the applicant will be contacted by a member of the International Student Program Admissions Committee to schedule an admissions interview. Interviews are normally conducted via Skype or WeChat, but are sometimes arranged in person on the TKA campus, or in the applicant’s home country when convenient for both parties. Arrangements are made to accommodate various time zone differences when interviewing via Skype or WeChat. A typical interview lasts 20-40 minutes. After completing the admissions interview, an applicant will be contacted by the Admissions Committee within 2 business days. This contact will communicate the Committee’s final decision. Within 15 days of an acceptance decision, the accepted student will receive an enrollment packet from the school via mail. This packet will include a copy of your Admissions Letter, a Tuition Statement & Enrollment Contract, and a Residential Services Agreement (if applicable). Families who receive an offer of admission are afforded 2 weeks to complete the Enrollment Contract and submit their non-refundable tuition deposit of $5,000 USD ($10,000 USD for students applying from Mainland China) to The King’s Academy (see note below about wire transfers). Beneficiary Name: The King’s Academy, Inc. Upon receipt of the signed Enrollment Contract and non-refundable tuition deposit the student is officially enrolled. Once the student is enrolled, we will mail an enrollment package to the student which will include the original I-20 document and additional instructions to assist you in applying for your F-1 visa and matriculating successfully. As we issue the I-20 paperwork (needed to gain a F-1 student Visa), the student is responsible for contacting their local U.S. Embassy to schedule a visa interview. The student will also need to pay the U.S. Student and Exchange Visitor Information System (SEVIS) I-901 fee online at www.ice.gov/sevis/i901. TKA’s International Student Program office is happy to assist you with this process and will gladly answer any questions you may have with regards to visa acquisition. Please contact us at mgille@tka.net or by phone at +1-561-657-3470. International Students are required to submit the full balance of their annual tuition no later than July 1st. Students who fail to do so will lose their admissions status and deposit. Students must provide The King’s Academy with a copy of their incoming flight itinerary. Specific dates are set for each incoming class to arrive in order to properly greet each student and to provide transportation from the airport. These dates are updated each term and are clearly defined in the Acceptance Letter and Enrollment Contract. All flights should arrive into Palm Beach International Airport (PBI), Ft. Lauderdale (FLL) and Miami International Airport (MIA). Click here for more information. One of the unique features of The King’s Academy’s International Student Program is the ability to offer both a homestay program and residential-style dormitory boarding. Within both of these models, students enjoy enhanced cultural integration, accelerated English learning, and personalized care. Students are asked in their application and during their interview to note their preference, which is considered when making the final accommodation pairings. However, students may not always be granted their preference and international students attending TKA should be comfortable living in either arrangement.